I have come to understand, more than once, that invisible forces are with us. Now I want to tell you about something that has happened to me one spring, many years ago. I was herding a cow that was soon to calve, and looked after her day and night. One evening, I was in the barn one last time before going to bed. When everything appeared to be as it should be, I went to sleep safely reassured. Not long after I fallen asleep though, I heard someone shouting my name from the outside: "Ragndi!" I jumped up and ran to the barn. The cow had born a fine calf. I believe to this day that there was someone who wished to notify me that night. The term folklore implies, in the traditional sense, a number of ideas about supernatural creatures and forces that intervened, and lived side by side with human existence. When reading the tales and legends of the folk belief, it is therefore of great value to have a certain understanding about the mentality of the old Nordic society. Already among the Norsemen, stories existed about invisible creatures that influenced their everyday lives. The dwarfs, for example, were small, humanlike beings that lived in the mountain and ruled over the metals – gold, silver, copper and iron. They were skilled blacksmiths, and did not tolerate sunlight. They could also be both vindictive and cunning if they were overthrown; in variant ways, they would try to prevent greedy people to extract precious metal, by making the mining dangerous and troublesome. Meanwhile, they could also be of great assistance, helping out with everyday work, and even saving lives if necessary. There were no chances of ever escaping the encounters with these beings, and therefore people adapted the best they could. 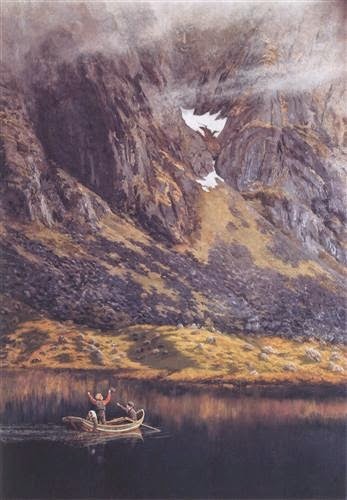 Theodor Kittelsen, "Echo" (1888). Popularly it was called "dvergmål" (dwarf tongue), the alleged voices that belonged to the creatures in mountain – this phenomenon we know today as echo. Do you see the old man in the mountain? It is important to bear in mind that just a century ago, people were dominated by nature and weather conditions in a completely different way than nowadays, especially in places of work. The social aspect of everyday life naturally consisted of interactions with animals (and potential neighbors), but also by an uncontrollable and unpredictable nature. Very clear distinctions were made between the human sphere, and the precarious wilderness. All near surroundings, consisting of home fields with houses and construction, represented the safe, domestic and anthropogenic domain. What existed beyond this sphere however – mountains, moorlands, forests or sea – consisted of uncultivated land, and represented an unknown and unsafe realm. Nature was given will and intention through a variety of "residents", who could be both destructive, as well as auspicious. In the folklore, the subterraneans – de underjordiske – is a common term for the creatures that inhabited these lands. They belonged to a remote, outer nature, yet kept close enough for people to notice their existence. Their home ground where often situated near farms and shielings, and they frequently intervened during the everyday life; hunting and fishing, in cattle raising and mining, in addition to all aspects of farm work. These creatures were highly erratic, and if they were opposed, or norms were not followed, they could also become dangerous and make life quite bothersome for the people around them. (The old stories about the "nisse" can depict this aspect for us.) In many ways they represented an important link with the forces of nature, and it was therefore important to approach them in a respectful and positive manner. The Norwegian writer and scholar Per Christen Asbjørnsen wrote about an encounter with these forces during a journey to the county of Møre og Romsdal on the Norwegian West Coast. It was the summer of 1847, and fairly late at night. In most farms there were no one home, as people were away to work on the mountain dairy. 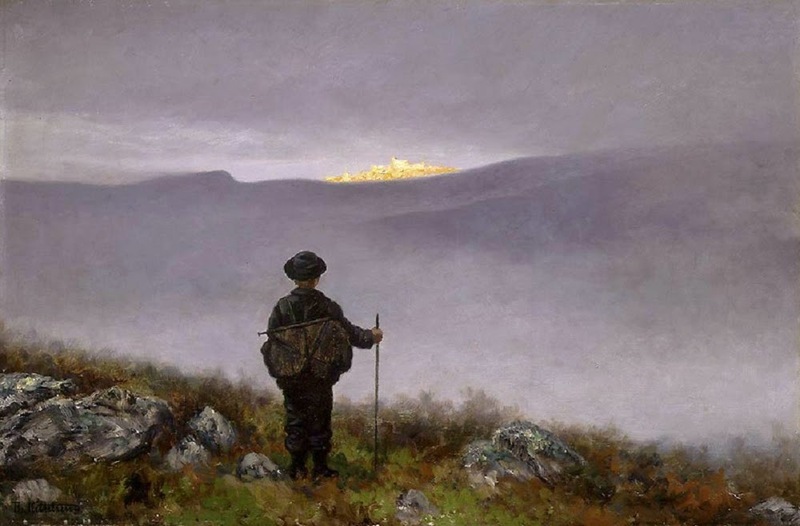 Finally though, Asbjørnsen found a place where he could detect the sound of human voices. Weary and anticipative, he knocked on the door. After much noise and long lasting discussions coming from inside the house, the door finally opened and a man appeared in the doorway. Rather baffled he apologized to Asbjørnsen, explaining that he believed it was “scoundrels” lurking about. The following morning though, the housewife revealed the real reason for this inhospitable reception; they did not dare disturb the subterraneans so late at night, she said. These beings required complete and utter silence after dark, and that evening they were clearly agitated. Long after Asbjørnsen had fallen asleep, the housewife told, they had heard them rattle and stir throughout the night. The French folklorist Virginie Amilien has written that the boundaries between reality and fantasy is very transparent in the old folklore, probably because man has never been able to fantasize without references. The degree of fantasy that is reflected in the folktales may therefore not merely be a product of pure imagination, while also being equivalent to a close reality. Simultaneously as they can be read as a reflection of the former rural community, they also depict a reality that is constantly on the move between the imaginary, and the pragmatic. The writings of Asbjørnsen illustrate this aspect, as well as showing us how people made a quite practical approach when encountering these beings. By sustaining a set of social rules and guidelines derived from the human sphere, it was not only possible to communicate with them – it could also contribute to an increased sense of being able to influence circumstances that essentially was beyond human control. This is a reality that may not be recognized today, because our culture has changed so much since the folktales were first told. When reading the legends and fairytales we must therefore take into account that human culture, not to mention our perception of reality, is perpetually on the move. Amilien, Virginie. "Den annen verden i norske folkeeventyr." I Nord-Nytt - nordisk tidsskrift for folkelivsforskning. Nr. 65. 1996. Asbjørnsen, P. Chr. Tradisjonsinnsamling på 1800 -tallet. Stipendmeldingar frå P. Chr. Asbjørnsen, J. Moe, L. Lindeman, S. Bugge, M. Moe. Norsk folkeminnelags skrifter nr. 92. Universitetsforlaget. Oslo 1964. 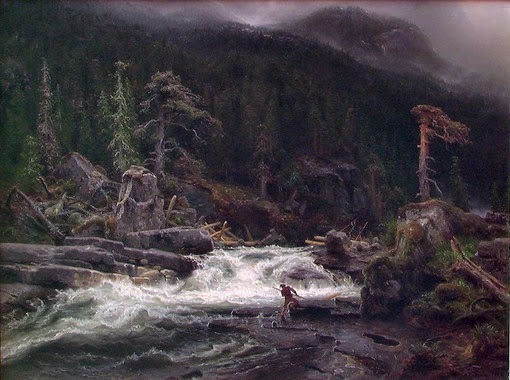 Christensen, Olav. Bergteken. Nye vegar til gamle segner. Norsk folkeminnelags skrifter nr. 148. Norsk folkeminnelag/Aschehoug 2000. Christensen, Olav; Eriksen, Anne. "Landskapsromantikk og folketradisjon." I Norveg – Tidskrift for etnologi og folkloristikk. Nr. 2 1993. Tema: Landskap. Hodne, Ørnulf. Norsk folketro. J.W. Cappelens Forlag. 1999. Solheim, Svale. Norsk sætertradisjon. H. Aschehoug & Co. Oslo 1952.